I'd imagine it's not easy dressing modestly at the best of times, let alone in the peak of a heatwave. So that's why we reached out to someone we knew would be able to help: Amira of Modest Mira. 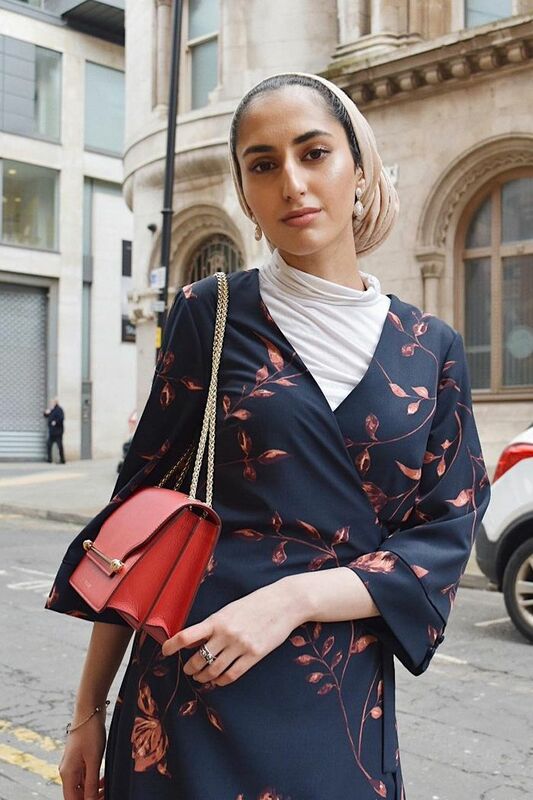 She's the Manchester-based style expert, content creator and stylist who never fails to tick off trends, and looks entirely cool and collected even when the temperatures soar. What I personally appreciate about Mira's look is that it always leans towards streetwear: She makes prettier pieces look cooler with the inclusion of Vans, she makes me think I could probably pull off a hoodie even though it's so far away from my normal attire, and she always, always has a great pair of earrings on—a sign that we'll get on, no matter what else. Keep reading to get her top tips on modest styling and fashionable looks that work when it's full-blown summer outside, and shop some of her essentials too. What is the biggest no-no when it comes to dressing modestly in the heat? Wearing thick layers. Try avoiding short sleeves or sleeveless dresses and tops, as that would require layers, but being such a sucker for any type of layering, I'll still try to layer now and then. However, I will layer with much thinner and lighter materials as this can still keep you cool, and it's a lot more breathable. What are the staple pieces you rely on? Long-sleeved bodysuits or long-sleeve T-shirts, as they don't require you having to wear layers, and they're super versatile. I've been really loving wide-leg denim jeans recently too—you'd think denim would be too warm for this weather, but with it being wide-leg, it still allows air to flow through keeping you cool. Even a denim jacket and a white jeans I find to be really handy in this heat. What kind of fabrics are best? I'd have to go with chiffon and cotton—super light, thin and breathable. You can't go wrong with them! Is there a particular brand or store where you tend to buy your summer pieces? Zara will always be number one when it comes to summer pieces, and I feel they cater quite well to a modest dresser like myself. H&M, Topshop and ASOS don't fall that far behind. 18 Perfect Summer Holiday Outfits Created By… You! Are sandals out of the question? If so, what shoes would you recommend instead? I don't think so at all! I do love my mules and slides; however, I'm such a sneakerhead that I could never give up trainers. I feel high-top Converse and white Nike Air Force 1s are a go-to for this summer—they're incredibly comfortable, and even if you were to wear a dress and stick a pair of these on, you'd still come off quite girly and chic. Do you have any styling tricks that help keep you cool? Baggy shirts or tops I feel keep you quite cool, and finding yourself flowy long-sleeve maxi/midi dresses. They don't require you to wear any other layers! What's your go-to holiday outfit? My holiday look is usually a pair of tapered or wide-leg pants with a shirt, or a long-sleeve top tucked in with a pair of mules, or if a lot of walking is required, a pair of white sneakers. Is there anyone you look at and think they always do modest dressing really well in the summer months? Yes, I have quite a few! My favourites have to be Maria Alia, Nabilah Kariem, Sally Ashour and Anisa Stoffel. We've got so many more summer outfits for you here too.